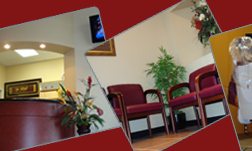 Before you enter our office, you may have a variety of questions about our treatments or office policies. If you don't see the information you need here, please call us at 281-970-3649 so we can answer your questions. We would like to see children after their first birthday. When they come in for an exam, we will try to examine their mouth and see how their teeth are developing. 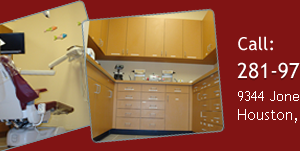 We try to make this visit as fun and relaxing as possible so your children will enjoy coming to the dentist. Yes, you should be very concerned about bleeding gums, especially if you haven't had an exam in a while. Bleeding gums may be a symptom of several problems, such as leaky fillings or gum disease. While it may seem harmless, bleeding gums can cause a variety of serious health problems. If your gums are bleeding, call us as soon as possible to schedule an appointment so we can analyze the cause. Brushing cleans about 80% of your teeth while flossing covers the remaining 20%. Although that seems like a small percentage, this area is where the serious problems originate. That's why Dr. Hoang believes cleaning this area by flossing is very important. In addition to flossing, she encourages her patients use an electric toothbrush, such as a Braun Oral B or Sonic Care toothbrush, which are more effective at plaque removal. In this day and age, we know deciphering your insurance benefits can be confusing. That’s why we will file your claim for you, as long as you pay for your co-pay at the time of your appointment. You can pay for our services with cash or check. We also accept Master Card, Visa, and Discover. Any amount not covered by your insurance is your responsibility. We feel, however, that your insurance should never dictate the quality or timing of your treatment. 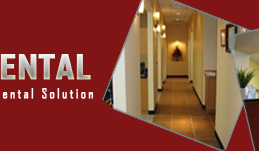 If you have extensive or long term dental care, our office offers financial assistance through Carecredit and also Citi Healthcard. We are happy to help you with insurance concerns, so if you have any questions, please contact us at 281-970-3649.